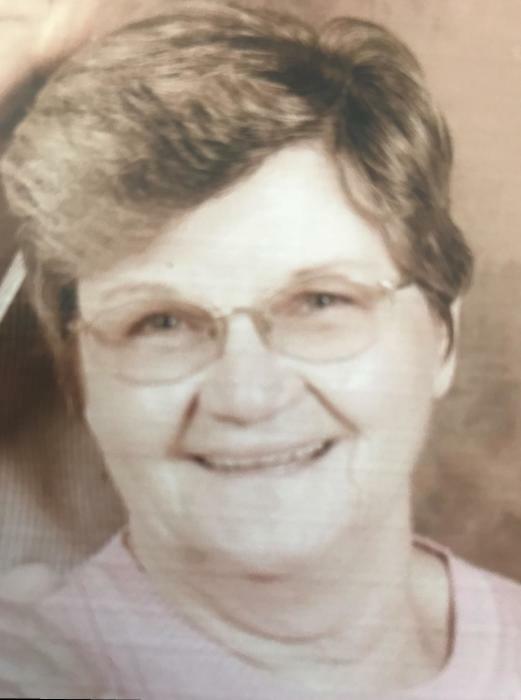 Marguerite Marie Baker “Ma Baker” of Elgin, SC, passed away April 9, 2019 with her family at her side. A gathering for friends and family will be held Saturday, April 20, 2019 at 2:00 PM, at Kornegay & Moseley Funeral Home, 4645 Hardscrabble Road, Columbia, SC, 29229. She will be interned with her late husband at Fort Jackson National Cemetery at a later date. In Lieu of flowers, the family requests you make at donation to cancer research of your choice or to Parkinson’s research via Michaeljfox.org. Ma Baker was born to the late Arthur and Marie McCumber, July 24, 1942 in Anaconda, Montana. Ma Baker graduated from Grants High School in Grants, New Mexico in 1960. She married the late Retired MSG Alexander Baker in 1972. They were stationed at a number of military bases in the United States and Germany before settling at Fort Jackson in 1986. Ma Baker is survived by three children; Helen Sprigg, of Tacoma, Joseph Baker (Dawn) of Elgin, and Patrick Divers (Ashley) of Lugoff and her brother Harvey McCumber (Pat), of Wilmington. She is also survived by 11 grandchildren and 8 great-grandchildren. Ma Baker was predeceased by her loving husband in 2018 and her loving, caring son Thomas in 2019. Ma Baker was a loving, devoted Army wife who loved her family more than anything, she leaves behind a legacy of love, compassion, and generosity that is second to none. Ma Baker left her mark of love on everyone she touched, she never met a stranger. If you were lucky enough to meet her, you immediately realized why everyone called her Ma Baker. She loved nothing more than spending time with family and friends. Especially her grandchildren. Ma retired from AAFES in 2010 after years of service. The family would like to send out a special thanks to Ernetta Edmunds of Columbia, SC. Ernetta, your level of care and compassion delivered to Ma Baker and her late husband over the last two years are absolutely beyond words. We cannot thank you enough! You will always hold a special place in our hearts. To the amazing staff at Kershaw Health Hospice who went above and beyond for our mother’s needs. Angela Thompson, Chaplain Jenny Clamon, Nurse Dawn Tutt and all of your support staff, thank you so very much! You all have made a lasting impact on our lives. We will never forget you! P.S. There will be a cover charge if you plan on using the “F” word or other foul language! $.25 per occurrence or $5.00 for unlimited uses! We love you Ma! Ride that Unicorn off into the sunset! !